Dr. Sylvia Beamesderfer is a Wonderful doctor, who Carefully Listens to me and asks Follow Up Questions, gives me Great Medical and Practical advise, and sets Goals for me. She refers me to Specialists when needed, who continue my Great Care in the McClellan/Mather Veterans Administration Health System. Not only that, but when I had a few simple kinds of physical problems, she did some medical computer searches and came up with a Problem that could have easily slid by many other doctors !! He really does care about his patients. I've been seeing him since 2008 and he is top notch. He responds to my emails very timely and always takes care of my medication issues like when I have to travel or when I am running low. He also treats his patients like family. I hope he's at the VA for much longer as us Vets really do appreciate his devotion to his job and his love for his Vets. Thank you Doctor for all that you do!! Dr. Gale was a perfect doctor and surgeon for me. I felt knowledgeable about the procedure. Confident in his skill. And comfortable in all aspects of the care I received. 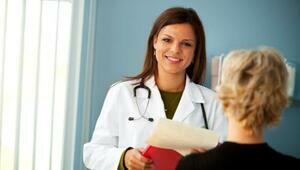 I have been going to Dr. Gale for gynecological care for years. He is friendly, straight-forward, courteous, and competent. I unfortunately learned today that going forward he will only be seeing patients presenting with specific problems, so will no longer be conducting annual exams. I am very disappointed and will probably now look outside the V.A. for gynecological care. He was the only reason why I continued to use the V.A. for ob/gyn care all these years. See more group practices in McClellan.